A vintage 1960s black and white image of John Lennon and Yoko Ono on their wedding day in 1969. 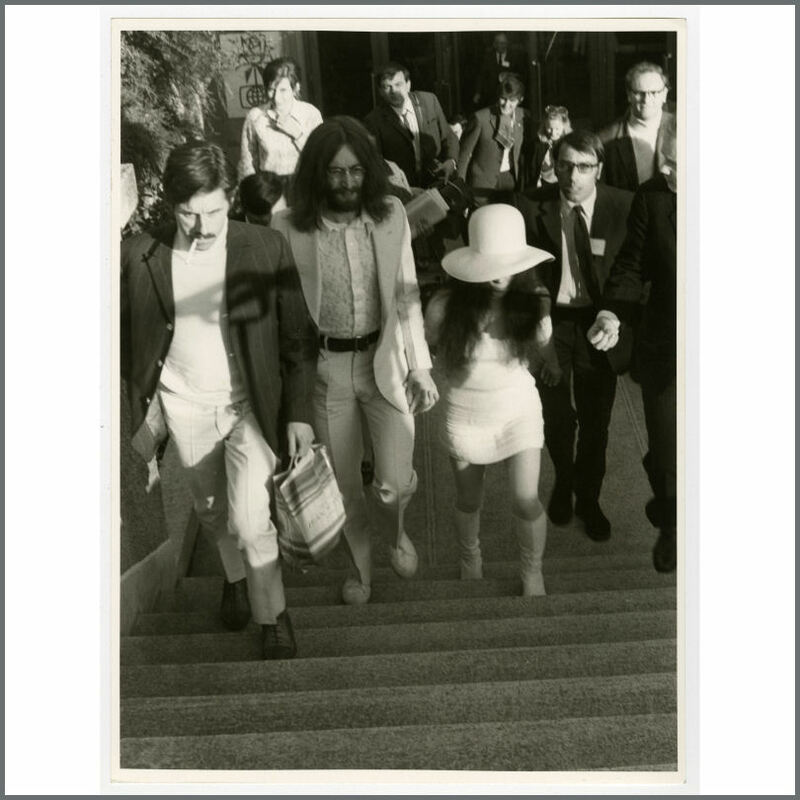 The photograph shows the couple, both dressed in white, walking up a set of steps in Gibraltar on 20th March 1969. It measures 18cm x 24cm (7 inches x 9.5 inches).